Chemical safety in the workplace (Your Right To Know) discusses dissemination of information which must be made available regarding the identities and hazards of chemicals. OSHA’s Hazard Communication Standard (HCS) requires the development and dissemination of such information. 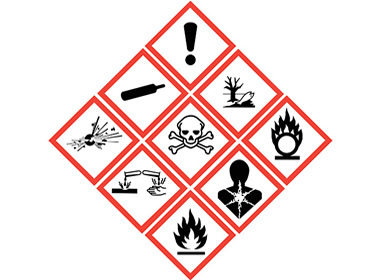 Chemical manufacturers and importers are required to evaluate the hazards of the chemicals they produce or import and to prepare labels and material safety data sheets (MSDS) to convey the hazard information to their downstream customers. This class was designed to assist companies of all types in complying with federal, state and municipal Hazard Communication regulations. All employers with hazardous chemicals in their workplaces must have labels and MSDS for their exposed workers and must train them to handle the chemicals appropriately. This Safety Aspects OSHA Safety Training course will introduce employees to the Hazard Communication regulations and provide training on the various types of chemicals found in building and construction environments.